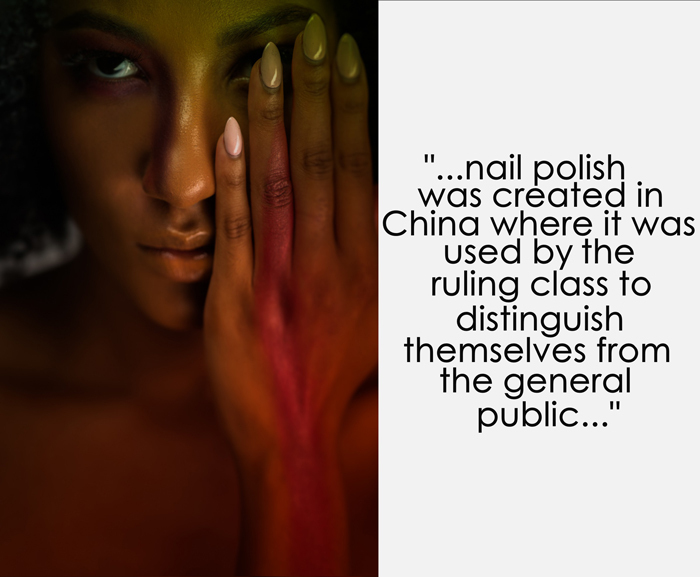 From China, nail polish spread across India, Middle East and Northern Africa, where it was extensively used in Egypt. However, upon the fall of the Roman Empire, like other cosmetic products, nail polish disappeared from the European fashion. It was after the arrival of renaissance and a new trade connection with the Middle East and India that European upper class gained access to the nail polish. As the centuries went by, nail polish and manicures became common – especially in France during late eighteenth century. By the turn of nineteenth century, nail polish and coloring became more common among people in France, England, Italy and United States, but it was in the early twentieth century that the nail polish became popular, with manicure establishments appearing in France at great numbers starting in 1920s and 1930s. Today, the nail polish can be found in every possible color. Lipsticks were made only from readily available natural sources such as fruit and plant juices. In addition to the ancient Egyptians known for to have created the red stained lips, Mesopotamian women were said to grind out precious gems and use their dust to decorate their lips with glimmer and riches. In Japan, the geisha wore lipstick made of crushed safflower petals to paint the eyebrows and edges of the eyes as well as the lips, and a softer version of the sumo wrestlers' hair wax were used by geisha as a makeup base. Rice powder was used on the entire face and back; and blush contoured the eye socket and defined the nose. As with every other cosmetic product, eyeliners represented not only fashion accessory but a connation to religion and the gods; as was the case with the Egyptian people and their devotion to their religion. However after the fall of Egypt eyeliners fell out of fashion in Europe. In Asia, eyeliners remained in use, but they did not influence European fashion after it came out from Dark ages into Renaissance and modern age. It was during the 1920s, at a time when women abandoned the fashion of the Victorian era and embraced new fashion that was fueled by ballet, stage actors, Hollywood, musicians and photography. After international cosmetic companies slowly saw the amounts of many this industry can create, they jumped on the opportunity creating new inventions with constantly marketing new product a on monthly basis, with the female population willing to try and buy anything that would make them look like their favorite Hollywood actress. Sources indicated that eyeliners came into popularity in 1922, after the archeological discovery under the great pyramids of Giza where the tomb of the ancient Egyptian pharaoh Tutankhamun was found, with all of his riches and art items intact. Worldwide coverage of this event introduced Ancient Egyptian eyeliner to the west, where it was instantly accepted. 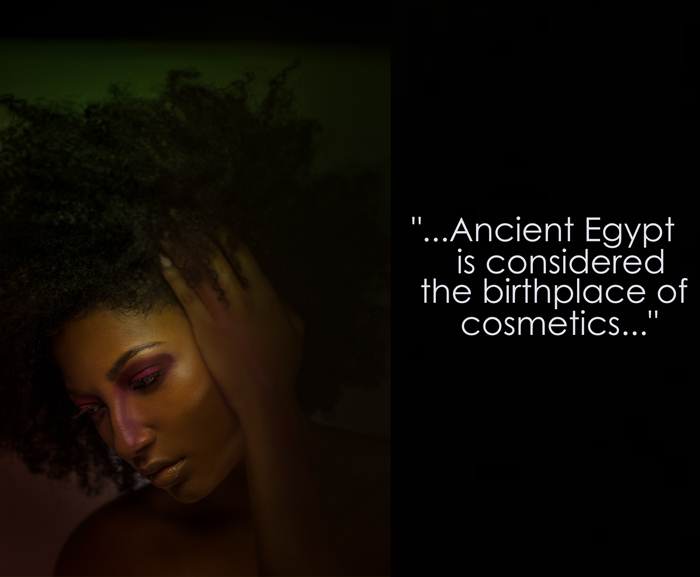 From copper and lead ore that ancient Egyptians used to create the world's first cosmetics to scientifically advanced products of today that can do everything, makeup has been an integral part of humankind for thousands of years. From usage of burnt matches to darken the eyes, berries to stain their lips and urine to fade freckles, women throughout history put their health at risk with many of their homemade cosmetics. In some cultures, for example, arsenic, lead, mercury, and even leeches were used to give the face the pale appearance deemed beautiful in the old days. Journey of cosmetics through history was not a smooth one, and it seemed it would totally disappear from public use. Coupled with the growing fashion industry, makeup brands’ continuous production of cosmetics has led to a billion dollar business. Once a niche market, handmade and certified organic products are becoming more mainstream. With the concern of chemicals pesticides, herbicides, fungicides, and fertilizers, being used in creating the products, organic cosmetics as an option are in the forefront of the cosmetic industry. 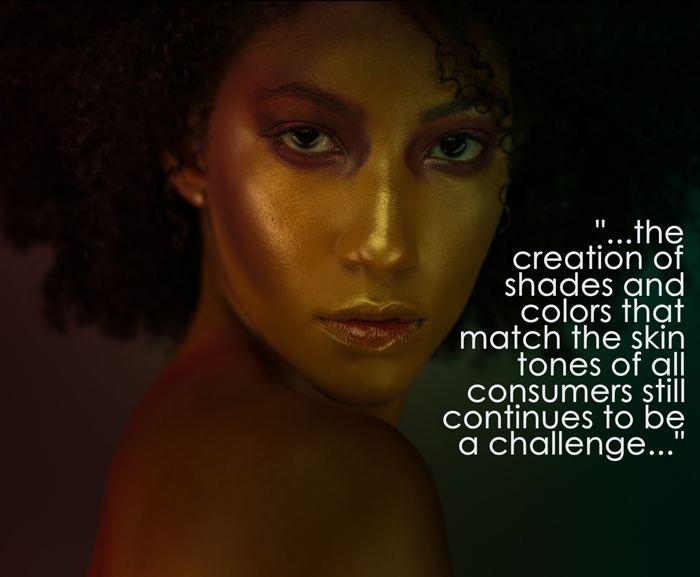 Despite the evolution of cosmetics through the ages, the creation of shades and colors that match the skin tones of all consumers continues to be a challenge. Although better than it was in the past, from time, the concern by consumers was on the fact that these cosmetic brands focused on a specific skin color and tones. 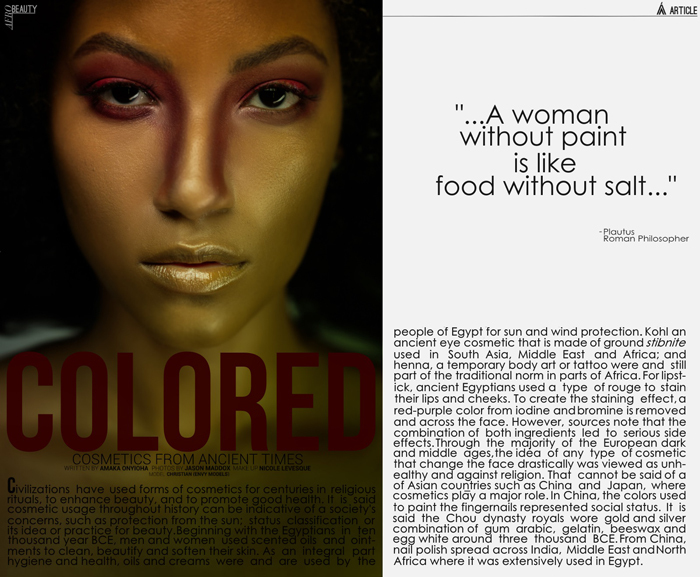 This led to certain makeup brands creating colors and foundations that cater to the specific needs of a population. 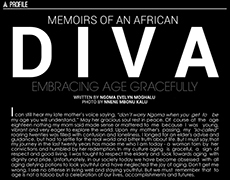 When Somali supermodel Iman started her cosmetics line, she based it on foundations in a broad range of colors with focus on all skin color and addressing skin tone. A few brands like Opal and Fashion Fair targeted the black customer, Iman focused on being more inclusive; thus not limiting the ability to cater to the diverse needs of consumers. However, despite the efforts, complaints of the inability to get easier access to such cosmetics prove to be difficult due to their availability at certain locations or websites. Consumers constantly knocking on the doors of well-known brands to diversify by creating more products that appeal to diverse skin tones created an opening. 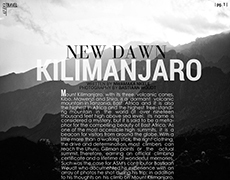 More shades have been created and one cannot deny that. However, there is still a-ways to go in accommodating all skin tones without having complaints arise.